Want to be a part of a truly exciting traditional festivities? Well prepare yourself! 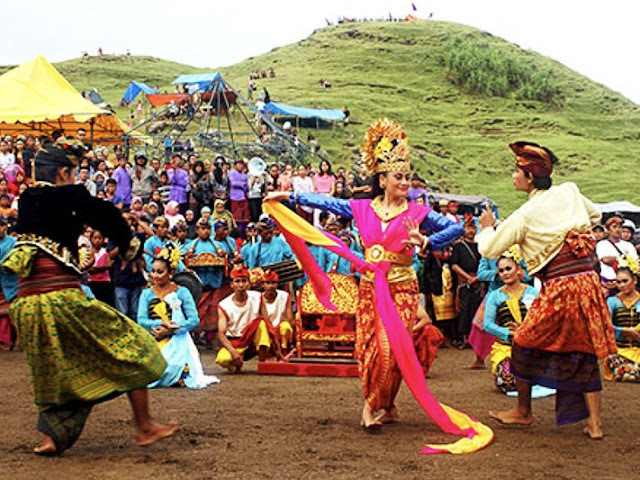 This coming February, the enchanting island of Lombok will celebrate the age-old tradition of Bau Nyale. 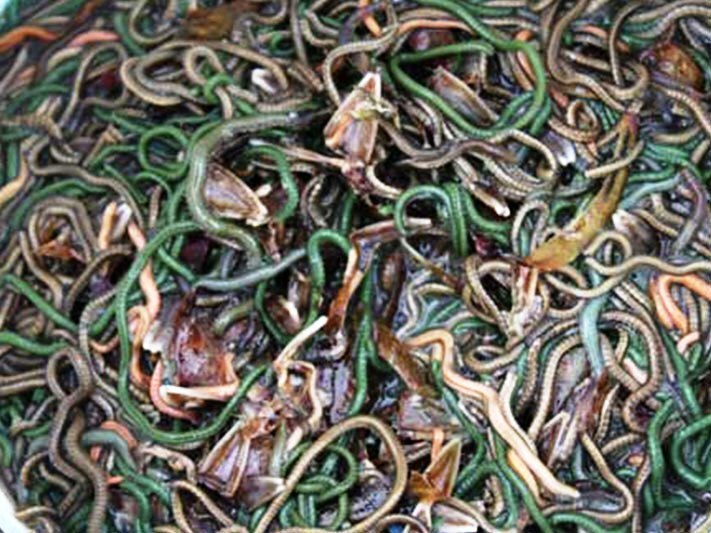 The tradition is a one of a kind annual folk festival of the Sasak People, in which hordes of people flock to the sea to catch sea worms (Nyale). According to local legend, Nyale represents good fortune. This year's festival will be held on February 28th, 2018 on three different location: Kuta Beach, Seger Beach, and Belanak Beach. The exact date for the festival is the result of a meeting among the elders of the Sasak tribe. In Lombok language, Bau is translated as "to-catch", while Nyale is a name given to the sea worms that appear once a year along some of Lombok most beautiful beaches. 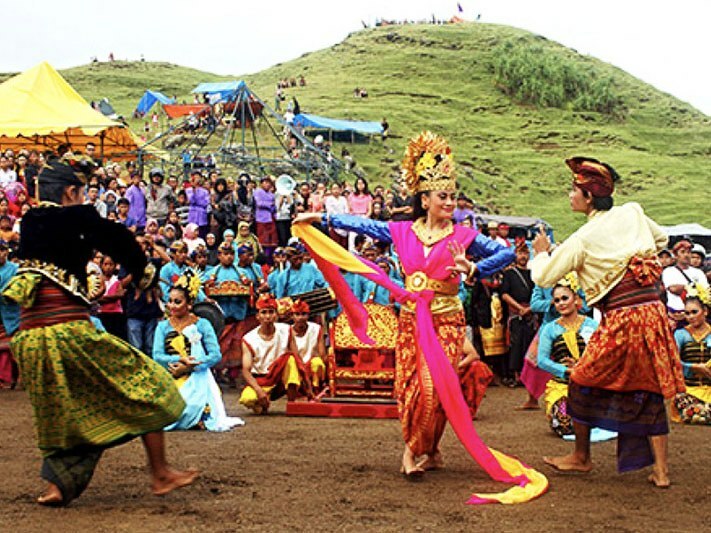 The folk festival has its origin from the legend of Princess Mandalika. Back in the heydays of Lombok's kings and queens, there lived a beautiful princess named Mandalika. Tales and rumors about her extraordinary beauty quickly spread across the island to the point where princes in every corner of Lombok fell in love with her and were eager to wed her. Competition was inevitable, and turmoil eventually engulfed the island. Seeing this, the princess was saddened and longed for peace to return to the land. In a desperate effort to put an end to the chaos once and for all, Princess Mandalika jumped from the beach and threw herself into the open sea. Her people tried to rescue her, but instead of retrieving her body they only found an abundance of sea worms, which came to known today as Nyale. Thus, the Nyale are believed to be the reincarnation of the once beautiful Princess Mandalika. To this day, the Nyale appear once a year on the shore of Lombok's beaches, and are considered as the reincarnation of the once beautiful princess who pays visit to her people. The people also believe that the worms are sacred creatures that bring prosperity to those who honor them, or misfortune to those who ignore them. Today, the festival has grown to more than merely a cultural tradition, but is also combined with other exciting attractions. This year, the festival will also featured Cultural Parade, Beach Cleaning Act, Surfing and Beach Volley Competitions, Selfie Competition, Princess Mandalika Beauty Pageant, Culinary Bazaar, and much more. "We intend to present the Bau Nyale Festival as more than just a cultural ceremony, but more as a serious effort of the Central Lombok Regency and West Nusa Tenggara Province to boost tourism in the region and to attract more tourists to visit the island. Especially that Lombok definitely has some of the most beautiful beaches in Indonesia," the Head of the Office of Tourism of West Nusa Tenggara Province, Lalu Mohammad Faozal, said. Meanwhile, Minister of Tourism Arief Yahya expressed his appreciation for the Office of Tourism of West Nusa Tenggara Province and Central Lombok who have turned the folk festival into an innovative and intriguing event. "This is very creative, each year we have seen progressive changes, and the event is presented better by the years," said Minister Arief Yahya.